While the government tried to keep a relatively tight lid on the actual handover at the border on Friday, Indians enthusiastically celebrated their Air Force pilot's release online, with the #WelcomeHomeAbhinandan hashtag spreading fast across social media. Pakistan's military said in a statement that its troops "gave a befitting response by targeting Indian posts". "And now the meaning of Abhinandan will change", he said. The capture of the pilot came a day after India carried out airstrikes against what it said was a militant camp in Pakistan. Going forward, Indian officials said they would strike targets, including those inside Pakistani territory, if officials receive intelligence of planned attacks. "The Pakistani Army is a very professional service", he said. Pakistan's military has issued a new worrying warning to its Indian counterpart as tensions between the two nuclear-armed countries remain high. The latest wave of tensions began after the militant group Jaish-e-Mohammad claimed responsibility for the February 14 suicide bombing by a Kashmiri militant on Indian paramilitary forces. Footage aired on local Geo News showed four Pakistani border guards carrying a coffin draped in the green and white national flag after receiving the body from Indian authorities. Tensions escalated rapidly following a suicide auto bombing on February 14 that killed at least 40 Indian paramilitary police in Indian-controlled Kashmir. 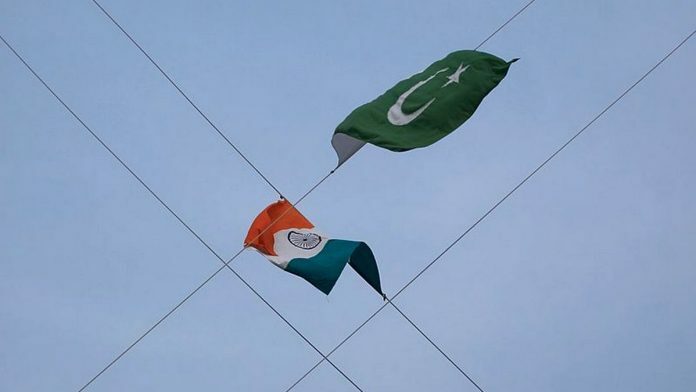 Pakistan retaliated, shooting down a MiG-21 fighter jet on Wednesday and detained its pilot, who was returned to India on Friday in a peace gesture. Pakistani leaders say the ball is now in India's court to de-escalate the tensions, though the Pakistani army chief told top military leaders of the United States, Britain and Australia on Friday that his country would "surely respond to any aggression in self-defence". "These battles are fought on our bodies, in our homes and fields and we still don't have anything in our hands". Meanwhile, officials have hailed the pilot's bravery. "We are at the mercy of these soldiers", said Mohammed Akram, a resident in Mendhar area in Indian-controlled Kashmir. "We are happy to have him back", the Air Force officer said at the border, without taking any questions.